Even a key hanger available in boontoon can be full of design & style. This platform showcased that type of products, those being ordinary, can Read More..be extraordinarily designed. This key hanger has two holders mounted on a cherry red background. On the background beautiful designs are painted. All these are hand embellished. 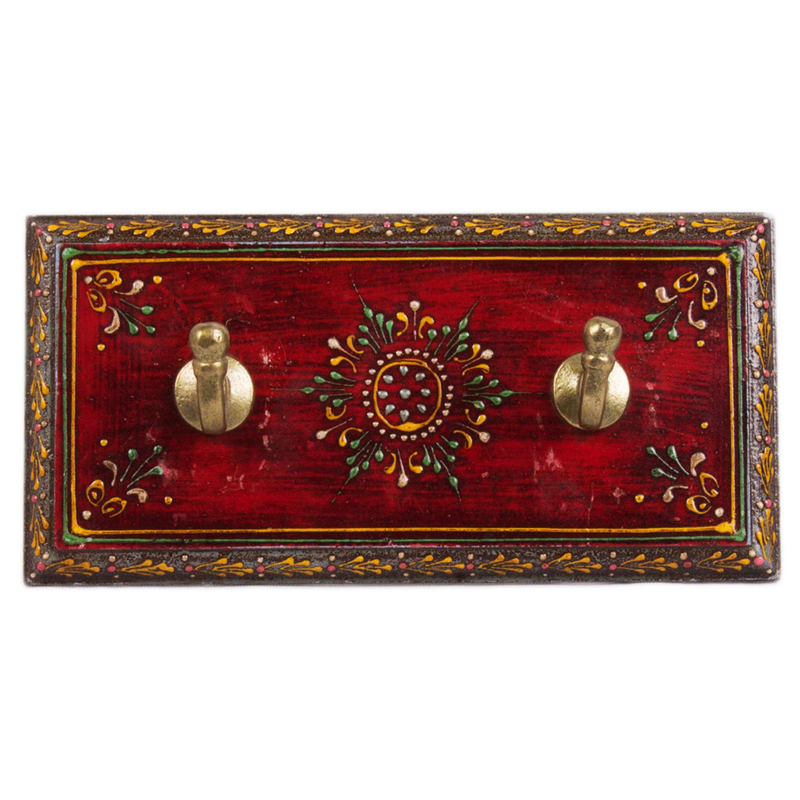 The wooden frame is delicately crafted & the hand paint on it makes a gracious combination of glamour & quirkiness. 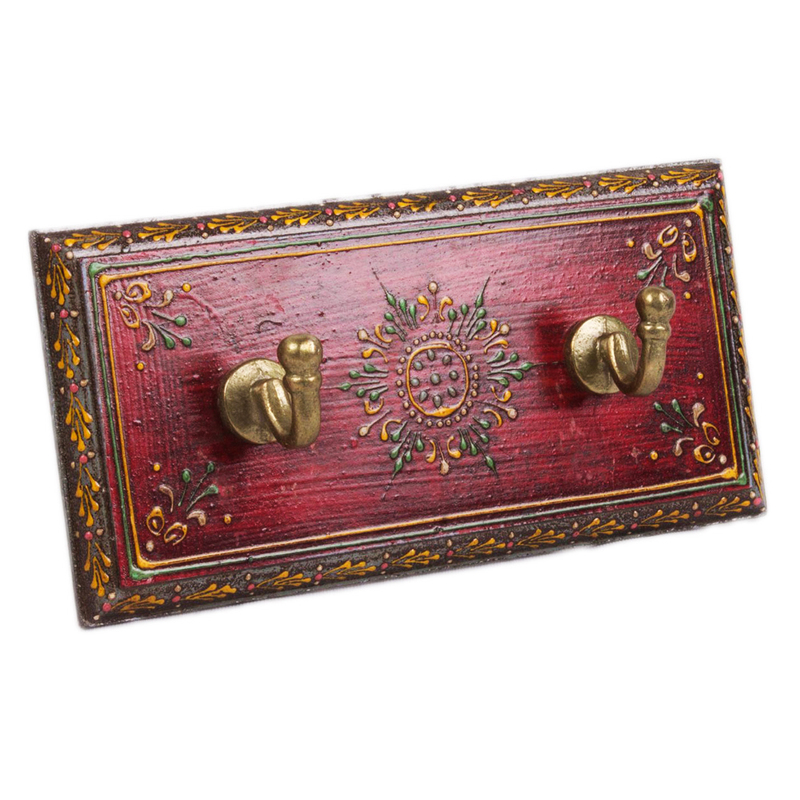 If you fix it on the wall, people will definitely appreciate your taste to hang the keys with the impeccable style & artistry. Have it now, because it will not strain your pocket! Show Less..